Ergonomic anti-fatigue mat with exceptional chemical and oil resistance for use in even the most critical cleanroom environments. Sold by square foot, built to any size you need. Just select how many square feet you need via the quanitity option below, then in the comments section of the order, add your size specification. 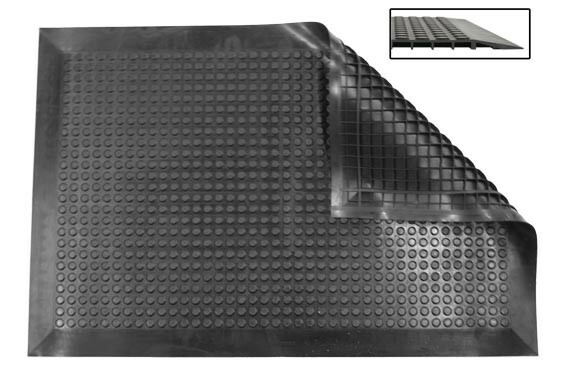 Ergonomic matting made with a non-porous nitril design that will not curl, swell or otherwise deteriorate when exposed to oils. In addition to the ergonomic benefits found in standard anti-fatigue matting, nitril matting provides superior traction in wet or oily environments, offering additional worker safety. 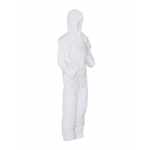 High chemical and oil resistances make nitril matting ideal for even the most highly sensitive cleanroom environments. The 2'x3' mat is also autoclavable, allowing it to be used in an even greater variety of environments.